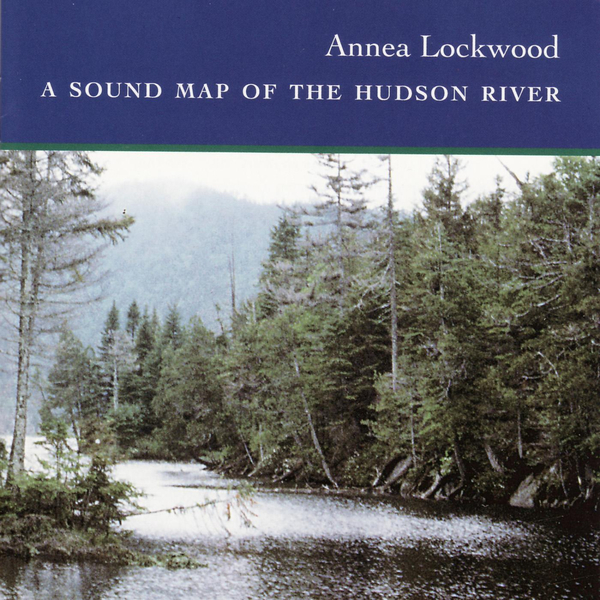 "An aural journey from the source of the river, in the high peak area of the Adirondacks, downstream to the Lower Bay and the Atlantic Ocean; Lockwood traces the course of the Hudson through on-site recordings of its flow at 15 separate locations. Annea Lockwood has recorded rivers in many countries to explore the special state of mind and body which the sounds of moving water create when one listens intently to the complex mesh of rhythms and pitches. The listener will find that each stretch of the Hudson has its own sonic texture, formed by the terrain, varying according to the weather, the season and downstream, the human environment whose sounds are intimately woven into the river's sounds. 71 minutes 33 seconds."